Dylan Smith is a Partner in the Litigation Practice Group. Dylan combines more than fifteen years' experience handling complex commercial litigation with more than five years' experience as a federal prosecutor. 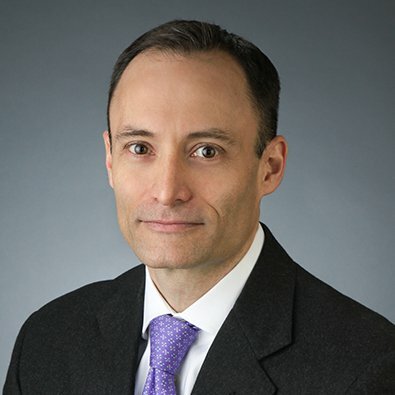 His practice encompasses a wide range of business disputes, government investigations and compliance counseling, including matters involving antitrust, securities law, civil RICO, bankruptcy, shareholder rights, D&O claims, and related insurance coverage claims. He has litigated complex commercial cases in federal and state court as well as before domestic and international arbitral tribunals. Prior to joining Freeborn, Dylan served as an Assistant United States Attorney in Chicago, where he prosecuted and tried criminal cases in federal district court, including cases involving white collar crimes such as financial institution fraud, wire and mail fraud, healthcare fraud, identity theft, and tax fraud. As an Assistant U.S. Attorney, Dylan also argued a number of appeals in the U.S. Court of Appeals for the Seventh Circuit. Dylan began his legal career as a law clerk to the Hon. Joel M. Flaum of the U.S. Court of Appeals for the Seventh Circuit. In multidistrict antitrust class action, won summary judgment on behalf of client chemical company based on lack of successor liability arising from asset purchase agreement. In re Sulfuric Acid Antitrust Litigation, 743 F. Supp.2d 827 (N.D. Ill. 2010). Successfully defended series of related federal and state lawsuits arising from client's guarantee of bank loan to supplier corporation. Won summary judgment on federal civil rights claims alleging that client conspired with state court-appointed receiver, lender, and county sheriff. Downeast Ventures, Ltd., v. The McShane Group, Inc., et al., 2007 WL 1745630 (D. Me. 2007). Successfully argued in Maine's highest court that, under rules of professional conduct, attorney should be disqualified from representing estate in action to collect debt allegedly owed by former clients. Estate of Markheim v. Markheim, 957 A.2d 56 (Me. 2008). Co-Author, "When Internal Compliance Monitoring Stumbles, Directors and Officers May Face Risk," Westlaw Journal Antitrust (May 2015). Featured Faculty, Today's General Counsel, "The Exchange" Compliance and Ethics Forum, Chicago (October 2016). Dylan Smith, a former federal prosecutor and partner in the Litigation Practice group, discusses the national security and privacy implications of the FBI gaining access to the San Bernardino shooter’s iPhone with WGN Radio’s Roe Conn.
Freeborn Partners Michael D. Freeborn, John T. Shapiro, Terrence J. Sheahan, John E. Stevens and Dylan Smith are referenced in the article “BREAKING: Ill. High Court Tosses Chicago’s Pension Reform Law,” published March 24, 2016, by Law360. Dylan Smith, a Partner in the Litigation Practice Group, discussed the underlying issues of the current lawsuit pitting Apple Inc. against the FBI with WGN’s Sean Lewis. Jill C. Anderson, Deborah H. Bornstein, Jeffery M. Cross, Verona M. Sandberg and Dylan Smith highlight the major antitrust decisions issued during the past year.